Known as a notoriously value-conscious generation, Millennials come with an arsenal of particular preferences, tastes and choices – and some fall on the non-traditional side. Enter the new rage: alternative engagement rings that often forgo the classic uber-sparkly diamond in favor of less-mainstream, less mass-produced, less controversial and more unique choices. 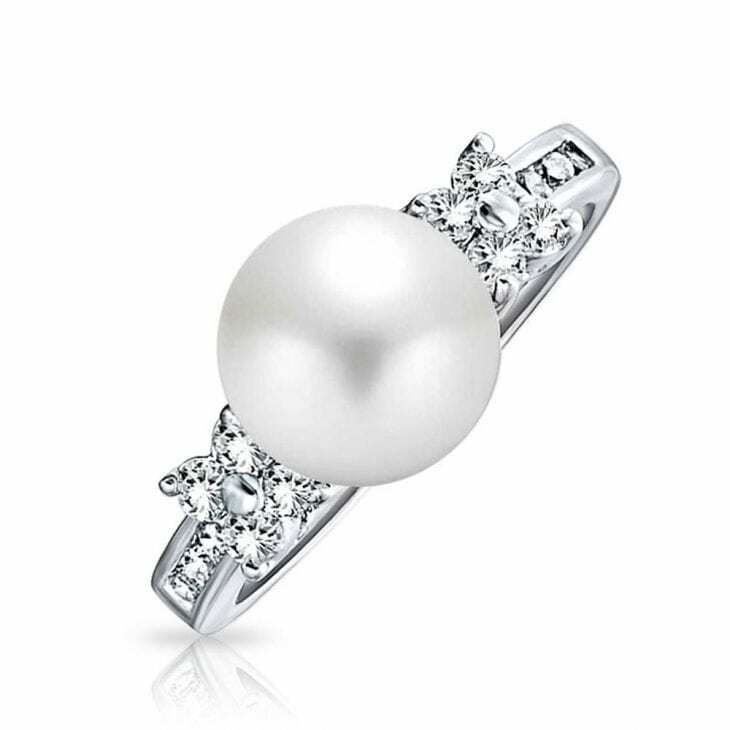 A survey from The Pearl Source indicates that while diamonds are still the go-to gem of choice, 46 percent of Millennials would rather commit with alternative jewels, significantly more than Generation X and Baby Boomers. One of the main characteristics of the Millennial generation is their tendency to rebel against companies that don’t align with their values – and that can clearly be seen in their inclination towards alternative gemstones. More and more young couples are currently opting for sapphires, rubies, and pearls, dissenting against the diamond industry, tainted with the controversy of blood diamonds. Concerned with ethical manufacturing processes, it is no wonder that Millennials are often renouncing the clear, multifaceted gems in favor of sapphire or pearl rings that aren’t associated with a similarly stained reputation. But even more than that, Millennials seem to associate diamonds with overbearing marketing campaigns and mainstream trends – none of which appeal to the Gen Y-ers. From shimmery moissanite to mauve amethyst and iridescent pearls, Millennials are into everything that is unconventional – all while still maintaining their affinity towards luxury jewelry. In fact, Millennials are avid consumers of luxury, often neglecting their funds for deluxe experiences, as well as pricey high-end products, according to the same study by The Pearl Source. But one of the things that appeal most to this generation is the fact that they are always hunting for that uniqueness factor, be it in their fashion picks or engagement ring choices. Alternativegems are not the only ones that spark this generation’s interest when popping the question – in fact, multiple gem ring designs, two-tone styles, eclectic combinations, Art-Deco-gone-modern cuts and sleek, minimalistic lines are all part of the appeal. Many seem to ditch the classic clear sparkles in favor of colored gems, both in pastel and bold shades, able to convey a hint about the wearer’s personality. Although they generally gravitate towards expensive products and luxury items, Millennials still don’t want to spend a fortune on engagement rings. 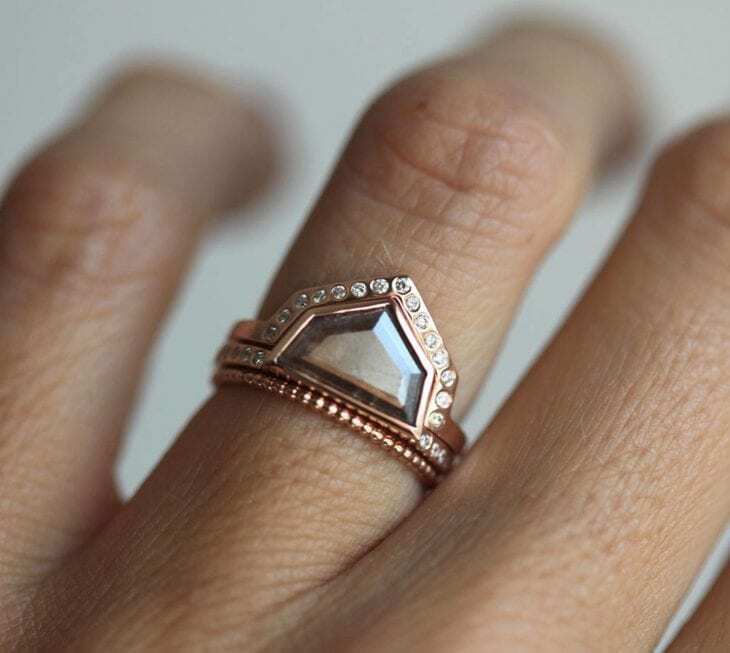 In addition, the stigma around opting for non-traditional rings is less predominant these days, which only makes the transition to alt-gems easier. On average, Millennials still spend around $3000 on engagement rings – but the ones who are willing to splurge to that extent (or beyond), definitely do not want to end up with a mass-produced ring. Enter alternative gemstones once again – always unique, often handmade and customized to perfection. But the average amount this generation spends on the ring is decreasing with every year – and according to a Morgan Stanley report cited by Forbes, lab-grown diamonds have the potential to amount to 7.5% of the total market share by 2020.